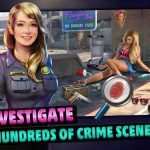 NCIS: Hidden Crimes is yet another one of those hidden object games based on a popular franchise, and it also happens to be one created by a high-profile game maker – Ubisoft. This game allows you to join the NCIS agents as you solve crimes of murder and espionage with ties to the U.S. Navy and Marine Corps. As you take on these cases and investigate the mysteries to eventually reveal a conspiracy, you’ll have to sift through numerous clues before making an arrest. There are six investigation modes, nine puzzle types, and four “surprise” actions, a wide range of locations, and once again, all the characters you may know and love from NCIS, the TV series. 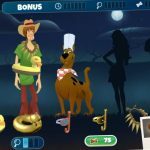 As you’ll find out, it isn’t always the easiest thing to solve cases and find hidden objects in this game. Scoring points, which ties in with those things, is likewise a bit tricky at times. 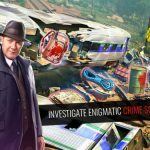 If you have just downloaded this game and need a good head start, we suggest you to read this list of NCIS: Hidden Crimes tips and tricks. We’re going to stick to the beginner tips here, so read on if you’re new to the game. It’s not an uncommon feature in hidden object games – the option for you to replay scenes. And in NCIS: Hidden Crimes, the need to replay scenes wouldn’t come up too often, unless there’s a trade item at stake. But even with that in mind, it’s still better to replay as many scenes as possible, and replay those scenes repeatedly. As you keep playing the scene over and over again, it’s going to be easier for you to remember the hidden items. And with that comes less time to solve the puzzle, and more points for completing it in a shorter amount of time. With more in-game currency means more chances of success, and that would require you to quickly add to your stockpile of coins. Pay close attention to the Trade menu, and complete sets whenever possible. Once completed, you can sell those sets for additional coins. But you should also be doing this as early as possible, completing as many sets as you could, as it will become more difficult for you to do this over time, once there are considerably more scenes in the game. As you’re going to have to check out more scenes and memorize where items are located on each of them, it will get tricky to complete sets at some point in the game. As we said in the first tip, replaying scenes is a great way to score more points, as your improved memory of any given scene and the hidden objects within will typically help you complete that scene faster once replayed. But there’s more than just grinding if you’re hoping to score even more points in the game. It would seem that there are game modes in NCIS: Hidden Crimes that can only be unlocked if you’ve earned a specific number of stars in a scene. That means you should be gunning for three stars and playing the new modes you unlock so you can earn more points. Another unique quirk of NCIS: Hidden Crimes is the fact that you have to pay close attention to the order of the items when you’re tapping on them. Other games will give you speed bonus and reward you for tapping as quickly as possible on the correct items, but this game will reward you with point multipliers on certain items. 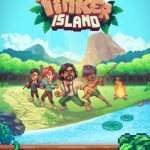 That would require you to first tap on a score multiplier item, then move on to an item with a higher score multiplier, and so on until you reach the item with the highest score multiplier. That’s another great way to add to your point total and do so much faster. It often isn’t the most popular thing in a game when there’s a mandatory social element, but then again, that’s what a lot of gamers also want, as it allows them to compete against real people or, in this case, collaborate with real people. Connecting your game to Facebook and adding your friends would allow you to regain some energy by asking your friends for some; you don’t have to risk getting banned by Ubisoft by doing the time lapse, and you don’t have to wait for what seems like forever (actually just a couple hours, but you get what we mean0 for your energy to refill automatically. More friends means more chances to get your energy back ASAP, so don’t be afraid to add your friends if they play this game, or are interested in playing it. For now, these would be our tips and tricks for NCIS: Hidden Crimes. Do you know some more hints for the game? Let us know in the comment section!